10.4" x 7.6" stitched on 14 count. 8.1" x 5.9" stitched on 18 count. 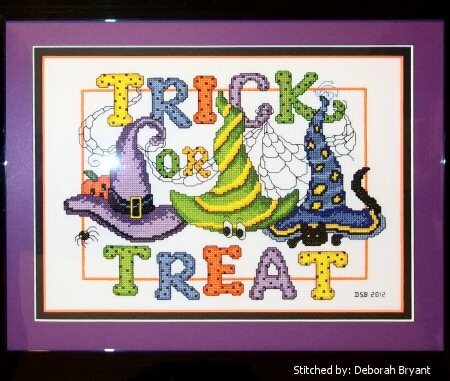 Witches Hats 3 cross stitch pattern... Spooky, silly witch hats make a whimsical Halloween greeting.